Leiðarendi (e. The End of the Road) is a 900 meter long lava tube offering unique rock formations, such as stalactites and shelves. Some light crawling may be required yet Leiðarendi cave has a rather easy access to the underworld of Iceland. 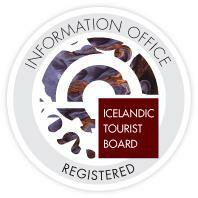 Now, let’s focus on the Golden Circle Tour part of this journey. Price: 23.900 ISK (included in price is pick-up and drop-off at your hotel, guide and all necessary equipment for caving). WHAT TO BRING ON THE CAVING AND GOLDEN CIRCLE TOUR?